Hicham Aboutaam and Ali Aboutaam often add precious gems to their Phoenix Ancient Art collection.A? These can also be purchased without leaving onea? ?s home, by visiting the companya? ?s online site, e-Tiquities, whichA?shows A?very clear images so that potential buyers can really get a good idea of what they are purchasing.A? 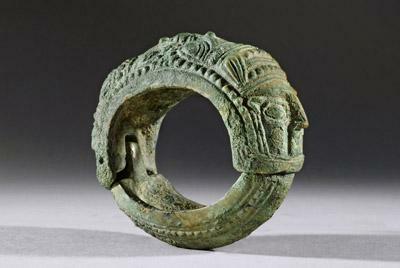 One such gem is a bronze bracelet with female heads.A? 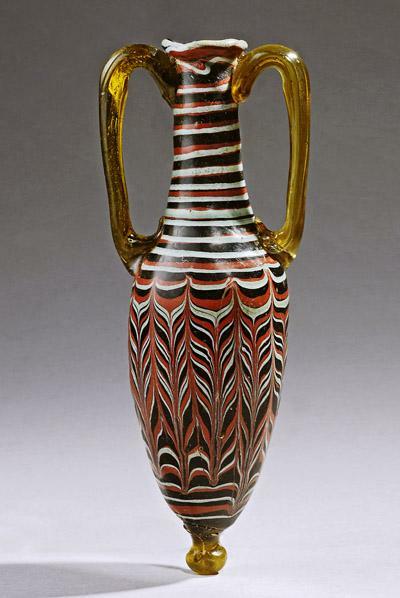 This antique dates back to 12th-8th century BC and hails from the Mesopotamia. .A? Like this piece, many of the artifacts found from this time were bronze. Add a piece from Phoenix Ancient Art to your collection For $14,000 thisA?bracelet from the Aboutaama? ?s collection could be yours.A? For an antique collector the price might just be right since it sports very detailed decoration.A? The bracelet is actually two halves which connect via a hinge so that it easily opens on the wrist.A? But since the original pin holding together the other side is no longer on the bracelet, that side remains open.A? Still, it is probably not something that one would wear on a day-to-day basis.A? For one interested in interesting motifs, this is a good purchase, A?since it canA?fascinate you for hours with its butterfly, faces, almond shaped eyes, strong noses, etc. Bringing ancient art to the widest possible range of people has been one of Hicham Aboutaama? ?s dreams. Now, with the lauching of e-tiquities, Hichama? ?s dream is virtually coming true. As of May 1st, 2009 anyone with internet access and a desire to enter the world of rare and beautiful antiquities can easily bring his desire to fruition. Whether your interest is in an antiquities auction or in antiquities for sale, both can be achieved at e-tiquities. Ranging in price from only $500 to $25,000, there is something available to just about anyone on this on-line gallery/auction house.